The best way to get to know Joburg is to hang out with an insider. In our Ask a Local series we chat to our favourite Joburg city people to get the lowdown on what makes the place unique. 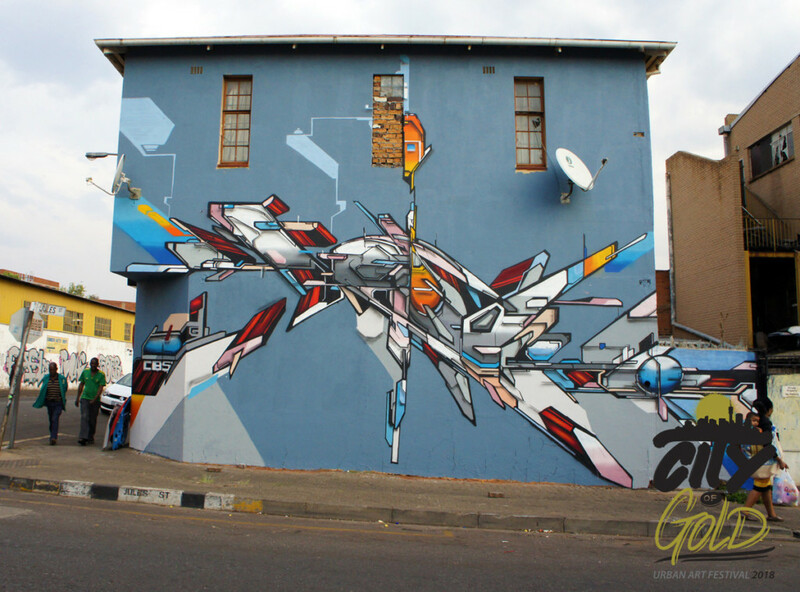 This week graffiti and tattoo artist Rasty Knayles, founder of the pioneering City Of Gold Urban Art Festival (Oct 7-13) shares his take on Joburg. RASTY KNAYLES, more popularly known as Rasty, is a graffiti and tattoo artist and also the founder of Joburg’s first gallery dedicated to graffiti, Grayscale Gallery in Braamfontein. The gallery is also the supplier of much of the spray paint used by local and visiting artists to adorn the city’s walls. 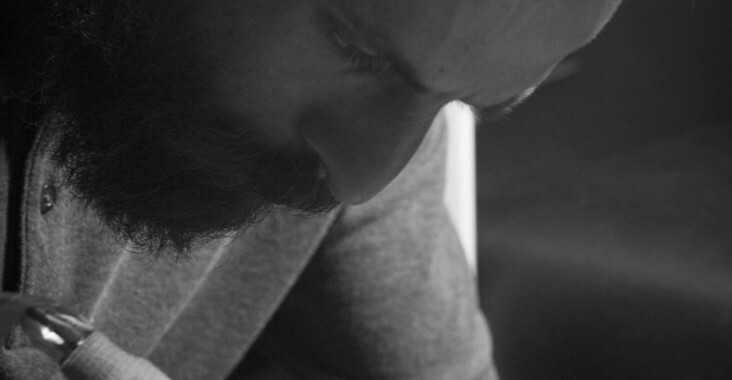 Rasty describes himself as “inspired by and working in the streets of the Joburg inner city”. 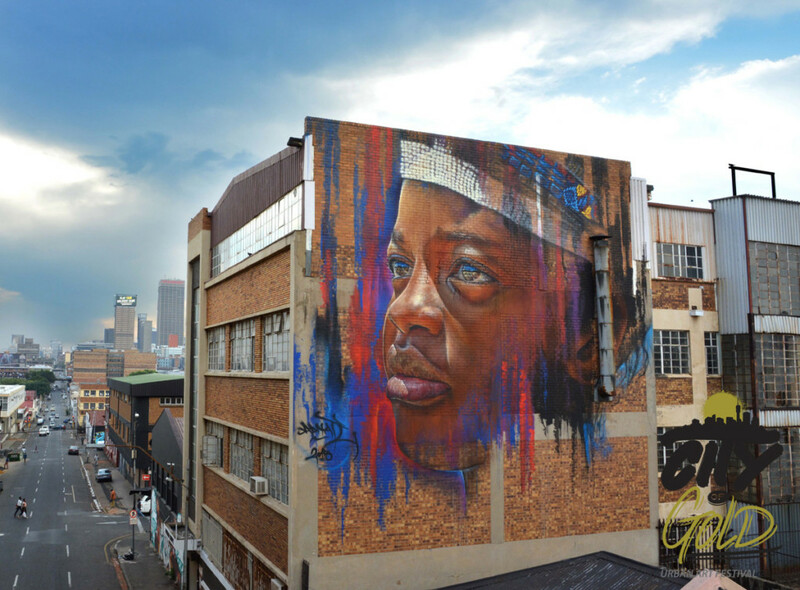 The City of Gold Urban Art festival sees international and local graffiti artists team up to transform the streets of Joburg, and this year includes a series of walkabouts, tours and film screenings. See the full schedule for the City of Gold Festival here. My parents brought me here when I was 8 and I am now a helpless slave to Joburg’s intoxicating elixir of contrasts and contradictions. Braamfontein. I think it is a great reflection of what Joburg is in 2018. Pablo Eggs Go Bar in Melville serves good breakfasts. The CBD, graffiti tour, Soweto. One thing no-one would expect to hear about Joburg? City Of Gold Urban Art Festival. 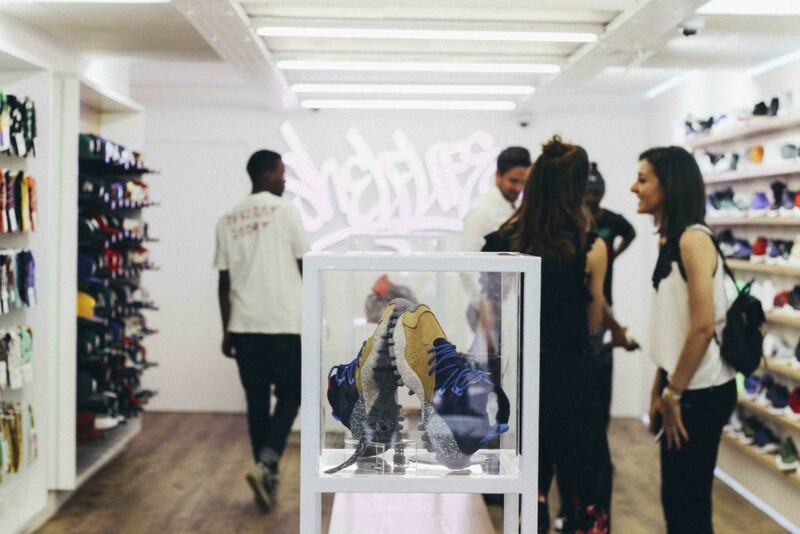 Shelflife. I’m a sneaker collector. Emmarentia Dam, awesome scenery and relaxed environment. Top tip for a first-time visitor to Joburg: Find somewhere central to stay. Best things about Joburg: The hustle of the city. Worst things about Joburg: Malls. On weekends you’ll find me … painting on the streets of the CDB. Three words that describe this city… Beauty, Grime, Energy. Barcelona, I traveled there twice and loved the energy.